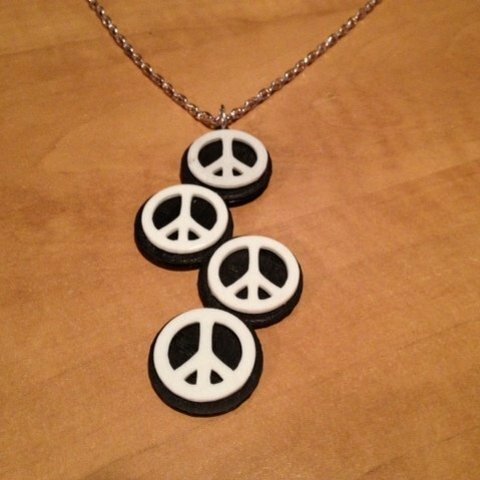 I designed this necklace to compliment the peace sign earrings I designed yesterday (http://www.thingiverse.com/thing:411324). They require a little bit of cleanup and slight widening of the holes in the back part to properly insert the peace sign parts onto the backing. I used a dab of gel super glue to mount the peace sign parts onto the backing. I picked up the metal jewelry parts at the local Michael’s craft store.